Write extensively on compelling social issues. My articles can be found in my blog. Link below. Masters in Public Policy from Princeton University. Refer PDF file on this website. TED x talk on child soldiers as well as key note speech at the Institute of Cultural Diplomacy. Having lived and served in some of the most fragile countries in the world, I am passionate about making a difference in the lives of the most vulnerable. I have seen first hand many human tragedies and triumphs from which I have learnt important lessons and I strive to uphold human dignity. 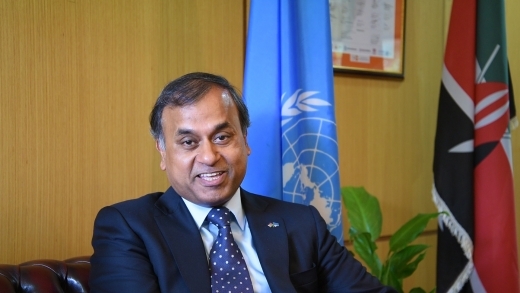 I am the United Nations Resident Coordinator and UNDP Resident Representative to Kenya. Together with the United Nations country team we are trying to ensure the implementation of the Sustainable Development Goals and Kenya's Vision 2030. Before this role, I was the UNFPA(United Nations Population Fund) Representative in Kenya and making efforts to ensure "no woman dies giving life" and every girl child is protected, nurtured and free from the scourge of FGM, child marriage and sexual violence. Before joining UNFPA, I was the Chief Diplomat & Head of Strategic Partnerships at the International Federation of Red Cross and Red Crescent Societies (IFRC) the world's largest humanitarian organization based in Switzerland. I have also served with the United Nations (UN) in the Department of Peace Keeping Operations, UNICEF and UNOPS in a range of leadership positions. Most of my career has been spent serving in complex emergencies, developing countries and fragile states. During my UN career I have lived and worked in the following countries-Denmark, Iraq(two tours), Jordan, Somalia, Kenya, Sudan(Darfur), Indonesia, South Sudan, Bosnia and Herzegovina. 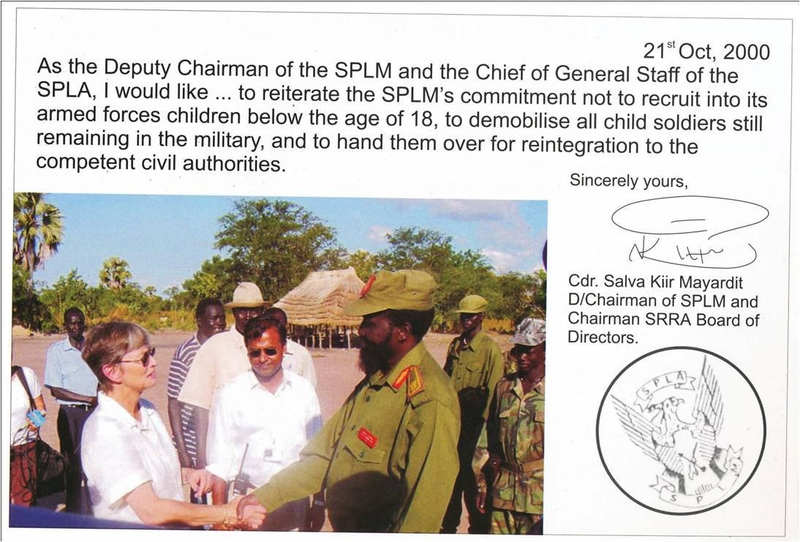 In South Sudan I successfully negotiated the release of 3551 child soldiers from the rebel army of the SPLA and led the largest ever demobilization of child soldiers in 2001 during an ongoing conflict. I delivered a TED x talk on the topic of child soldiers in Bilbao, Spain. I am regarded as a global influencer, actively advocating to end the scourge of polio. I have written & spoken extensively on the topic in leading international journals. I am a graduate in Public Policy from the Woodrow Wilson School for Public and International Affairs at Princeton University. I joined the UN in January 1997 after serving in the Indian Army in a Special Forces unit. I was decorated for gallantry during active service. I try to keep the spotlight on things that adversely effect humanity through my editorials and opinion pieces. My articles have featured in the CNN, Al Jazeera, the Huffington Post, the Guardian, Forbes, Reuters, the Global Observatory and some leading Indian journals. Join my efforts to end Violence Against Women, FGM, Child Marriage, and Maternal Deaths in Kenya. Connect with me on LinkedIn. 1. Provide overall vision, direction and management for the work of UNFPA in Kenya and work with partners to ensure that "no woman dies giving life". 2. Lead the positioning of UNFPA Kenya on strategic and substantive issues in the country on the basis of global and regional policies and strategies. 3. Identify and promote UNFPA’s comparative substantive role and specific contribution in the national development environment and agenda, and in the changing aid environment. 4.Direct the formulation and implementation of a resource mobilization strategy for the country, and mobilize additional financial resources for the country. 5. Through compelling advocacy and thought leadership, position UNFPA to be the visible centre of innovation and excellence on issues of population and development, sexual and reproductive health, and gender, human rights and culture. As the organizations's Chief Diplomat, I am responsible for putting the spotlight on the most vulnerable by engaging with policy makers, opinion leaders and donors. I also forge strategic partnerships with a range of diverse partners which includes governments, multilateral institutions, the private sector and foundation to reinforce our ability to collectively serve our humanitarian and development objectives. I also lead the organization's fund raising efforts globally. As a senior operations and business development executive I was responsible for the Middle East, Europe and Central Asian Regions and was accountable for delivery of a large project portfolio worth some $200 million per annum. I was successful in leading development and implementation of a regional strategy, increasing business acquisition and programme implementation rate, controlling costs and managing complex operations in challenging business environments. I oversaw the work of several country offices which included Afghanistan, Occupied Palestinian Territory, Iraq, Jordan, Kosovo and our operational hub in Geneva. I also oversaw a range of projects and progarmmes across many countries in the Middle East and Europe. I achieved measurable improvements in the financial performance of the Europe and Middle East (EMO) Regional Office, including increased revenue and related metrics; enhanced application of the modern Risk Management and Engagement Acceptance techniques. Oversaw delivery of services that qualitatively and quantitatively surpassed partners’ expectations. Improved partners’ awareness of UNOPS capabilities in the field. Built strong strategic partnerships with diverse range of partners. Achieved improvements in the efficiency and effectiveness of EMO functional practices in the field which positively impacted on the audit findings. I increased investment in competency building and morale of all personnel, irrespective of contractual status. I also improved performance against gender balance indicators in entire region. I further enhanced partnerships and diversified service offerings. 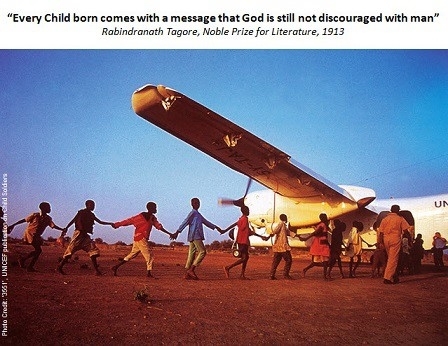 This was one of the most complex and challenging assistance mission of the United Nations. As the Chief of Staff I reported directly to the Special Representative of the United Nations Secretary General. I helped shape strategy and organization design of the mission. I oversaw all operational aspects of the Mission’s functioning. I represented the Mission and the SRSG vis-a-vis Iraq’s government and foreign embassy officials as well as donor representation offices. I assisted the SRSG in coordinating the work of the units responsible for Governance, Constitutional Support, Elections, Promoting Regional Dialogue, Economic Development, Rule of Law & Security, Census, Disputed Internal Boundaries, Reconciliation, Social Services and Human Rights. I oversaw the mission's security and safety issues as well. Demobilizing 3551 child soldiers during the height of a conflict in South Sudan from a rebel army. A great day for me. President Salva Kiir of South Sudan commits to demobilizing all child soldeirs. 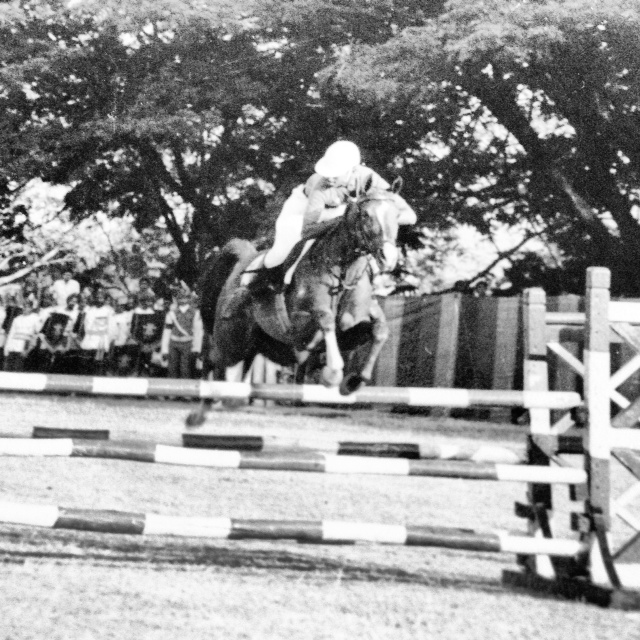 My passion for horses and equestrian sports. A picture from my days at the National Defense Academy.